For the past 7 years I’ve been lucky to be a part of the KENS 5/CPS Energy Mi Casa Makeover show. I’ve had the honor of meeting many families and have heard countless stories — some funny, some sad, many ultimately uplifting. As you might know, CPS Energy and KENS 5 choose two families a year for a total home makeover, with local businesses donating their time, products and expertise to create a home that’s safe, comfortable and energy efficient — and something families can be proud of. They can self nominate, or be nominated by others, who often share deeply moving stories about why they believe a family should be chosen. That’s the case with our latest winners, Maria and her son, Alfredo Navarro Jr., who was nominated by a nurse who became a family friend and protector. The thought of losing — or almost losing — a child to a senseless and unquestionably preventable act is a nightmare I think all parents must have. For Maria and Alfredo Navarro Sr., that nightmare came true. Their son, Alfredo Jr. (who goes by Junior) became a victim of something many of us do without thinking, and I hope that by sharing his story, it might make folks think twice. It was a cool and breezy day on July 10, 2007, when nine year old Junior grabbed his motorized scooter and headed out for a ride in the neighborhood. As he made his way down the street, a woman driving a truck and talking on her cell phone hit him. Junior’s father witnessed the accident and tried desperately to get the attention of the woman — to no avail. She kept driving and chatting on her phone, oblivious to the fact that she was dragging the boy under the truck. For nearly a mile she drove on, until Alfredo used his car to stop her. As a result of the accident, Junior is paralyzed from the waist down. He will be in a wheelchair for the rest of his life. Their lives forever changed, Alfredo and Maria continued to love and care for their son, and he grew into the remarkably positive 15 year old young man he is today. But during that time, Alfredo’s health began to fail. Kenneth Tweet, a former U.S. Army nurse, became Alfredo’s nurse. On the last day of 2013, Alfredo suffered a heart attack that left him brain dead and on a breathing machine. Six days later, Maria made one of the toughest decisions of her life. Junior called Kenneth, who flew in right away to stay with him while Maria handled the hospital and then funeral arrangements. “I wanted to make sure they were taken care of, but didn’t know what to do,” said Kenneth. “Then my wife Delilah said to me, ‘Why don’t you write to the KENS 5/CPS Energy Mi Casa Makeover?’ So I wrote the letter, never thinking anything would ever happen with it. In addition to fixing up their home to make it more energy efficient and safe, our local businesses will also make the home more accessible for Junior’s wheelchair. I’m so honored to have met the Navarro family, and I know that learning their story has made me think twice about talking on the phone while driving. I hope you will, too. 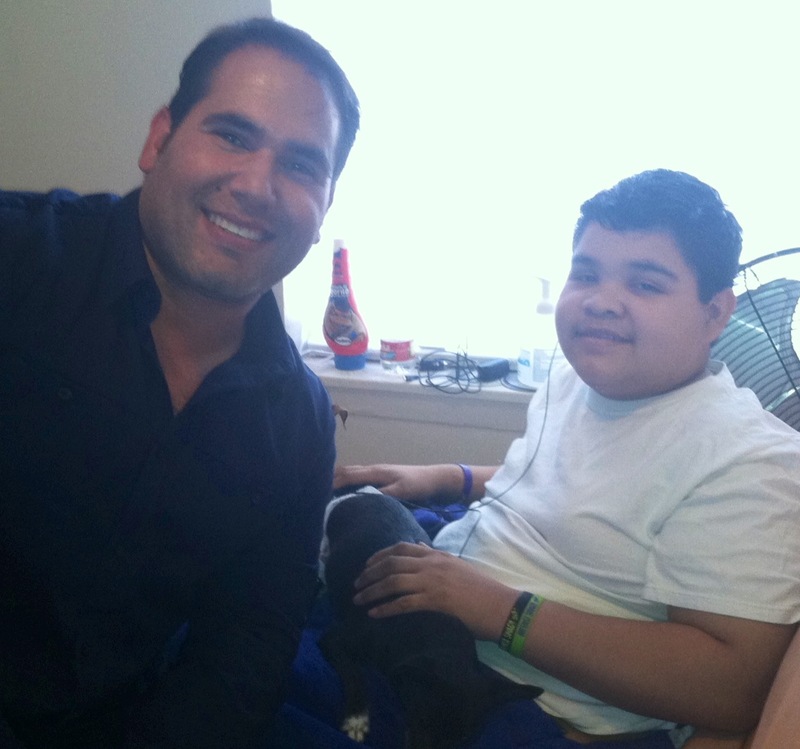 Tune in to KENS 5 Great Day SA tomorrow, Friday, March 21 at 9 a.m. to meet Junior and his mother Maria, and watch as they begin their new journey as our 27th Mi Casa Makeover winners.